Mobile phone users are constantly being treated to new and exciting games being released that cover all tastes as well as budgets, and today we have news of the Tom Hanks Electric City The Revolt RPG app that is available for Android and iOS users. 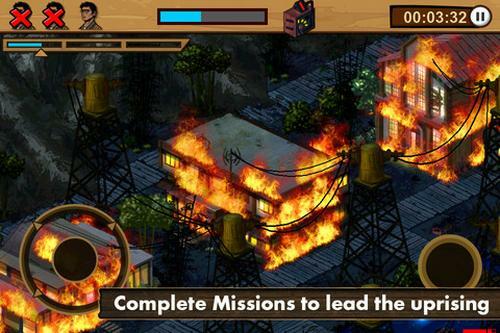 As Pocket Gamer are reporting in an article the dystopian world of Tom Hanks animated series, Electric City, has been brought to the mobile world via Android and iOS in the form of Electric City The Revolt. Players of the game take control of Frank Deetleman, who is a member of the rebel faction that is trying to push out the Orwellian organisation, otherwise known as Wire Central. The rebellion takes the form of rescuing captured rebels, solving puzzles, and evading the Allied Municipal Police (AMP) in a quest for freedom. Electric City is a post apocalyptic mini-series that has been published via Yahoo and the twenty short episodes total a running time of ninety minutes. This new game will guide players through parts of the show’s plot and go into some of the mysteries and back story presented in the actual mini-series. Players are able to visit all of the eight precincts featured in Electric City, and also unlock artwork that is unique to the game. Also Electric City The Revolt will provide players a number of mini games to complete, as well as the opportunity to compete against each other in leaderboards. Android users can find the game free over at Google Play, while for iOS users the game costs Â£0.69/$0.99. Check out the demo video below.